Buying a used Sting, Sirius or Savage? Find out about free transition training & aircraft safety checks. 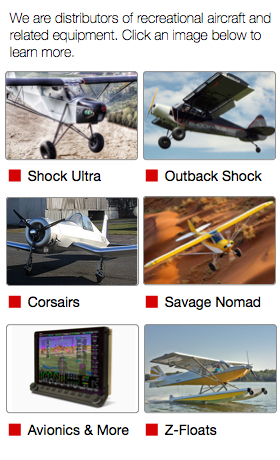 The SportairUSA Collection of factory complete new aircraft includes two hyperSTOL, shock-suspension models from Zlin Aviation, maker of the Savage line, and the new carbon fiber composite, factory-finished ultralight Corsair 103. To view the collection, Click Here. We maintain an inventory of pre-owned aircraft, certified by SportairUSA to be fully operational and ready-to-fly. To view the current inventory, Click Here. SportairUSA, LC, is an FAA certificated repair station and the United States distributor for Savage aircraft and the new Corsair 103. We are located at the North Little Rock Municipal Airport (KORK).